Bulgarian Ship Hydrodynamics Centre (BSHC) - Varna has been established in 1976 with the financial and expert support of the United Nations Development Programme (UNDP) and of the International Maritime Organization (IMO) as a scientific research and experimental center in the field of hydrodynamics of ships, floating structures and marine-based facilities. Since 2010, by decision of the BAS General Assembly, BSHC has been transformed as a detached research unit with preserved scope of activities within the frames of the Institute of Metal Science, Equipment and Technologies "Acad. A. Balevsky" at Bulgarian Academy of Science. BSHC performs wide spectrum of fundamental and applied research in the fields of ship hydrodynamics, aerodynamics, water transport and energy saving, ocean engineering, sea and river crises and disasters, marine ecology and coastal protection, facilities for fisheries and aquacultures, marine renewable energy sources, technology transfer, national security and defense. In cooperation with National High Schools and Universities, the Centre performs also training of students, cadets, PhD students, post-graduate students and trainees in the fields of its competence. 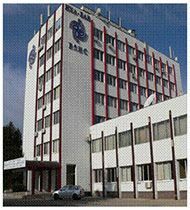 Scientific and applied research services offered by BSHC are highly recognized and frequently demanded by maritime stakeholders all over the world.The Centre operates in the cherished environment of broad national and international cooperation and represents the Republic of Bulgaria in a number of international organizations and projects relevant to its scope of activities. BSHC operates under the terms of ISO 9001:2008 conformed Quality Management System certified by SGS Company. Standard ITTC recommended procedures are fully adopted and followed. 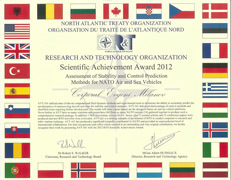 BSHC partnership in several NATO research working groups has been highly estimated by authorities.